I have two bananas ripening as we speak on my counter. I’m waiting until I can turn these into something as awesome as these. Bananas and chocolate are the best flavor combo! 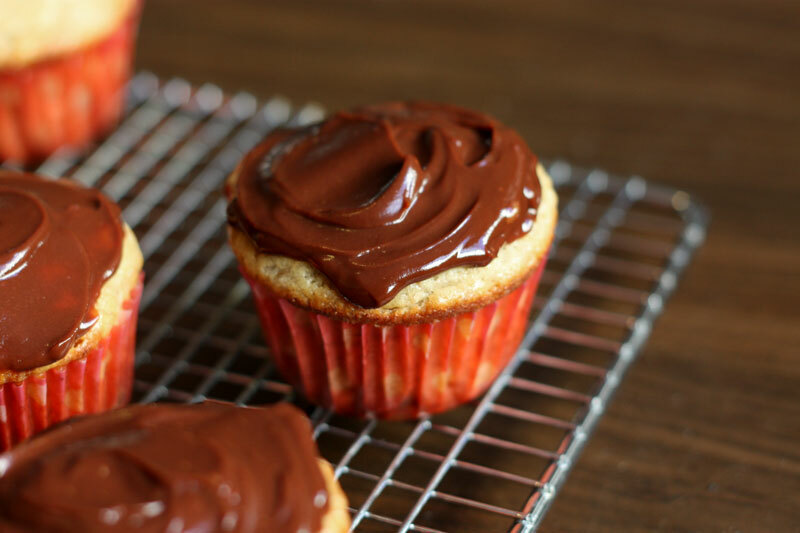 Love the ganache on the top of these cupcakes. I am definitely guilty of having a freezer that looks like an avalanche met a tornado inside it and the two got together and had babies. Disastrous. I think I need to use those bananas I have stored up in there and make these. Anything with warm chocolate ganache on it must be delicious. Oh dear my freezer is horrendous… I just collect all kind of weird and wonderful things and store them in there for a rainy day. 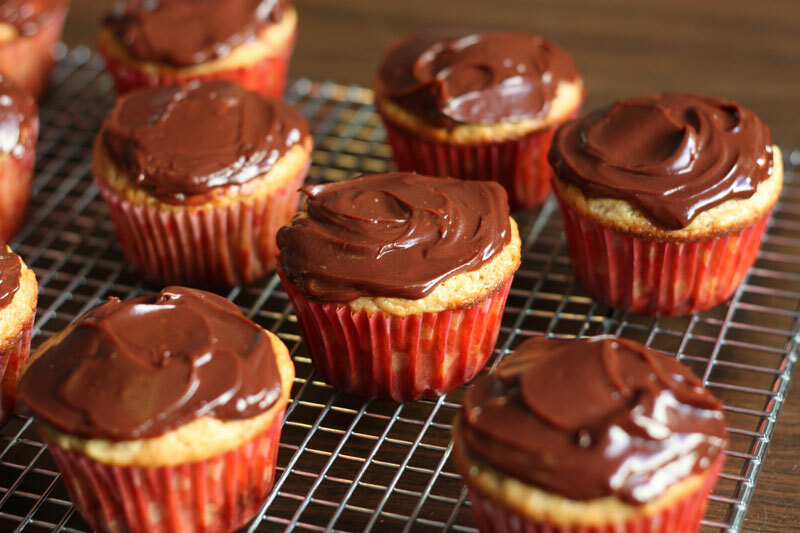 These cupcakes look so lovely and comforting, great photos ! Yup! 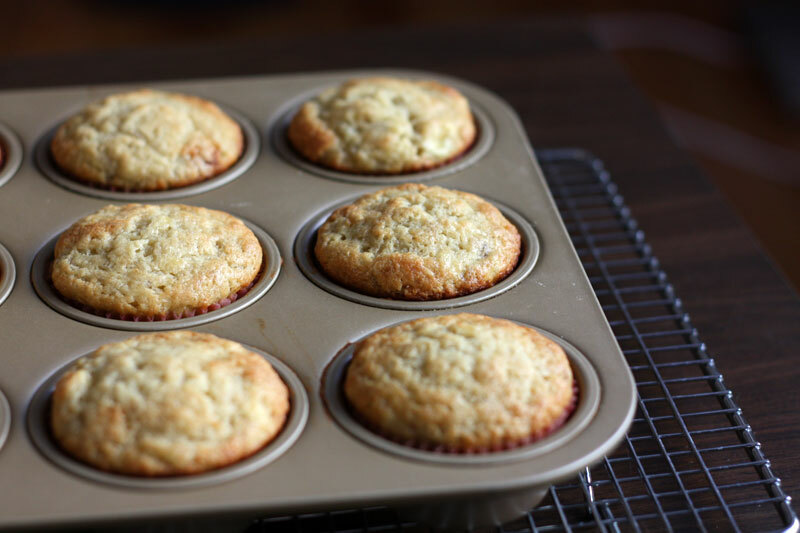 A great way to use up those ripe bananas. I never pop mine into the freezer – I prefer to bake them immediately. 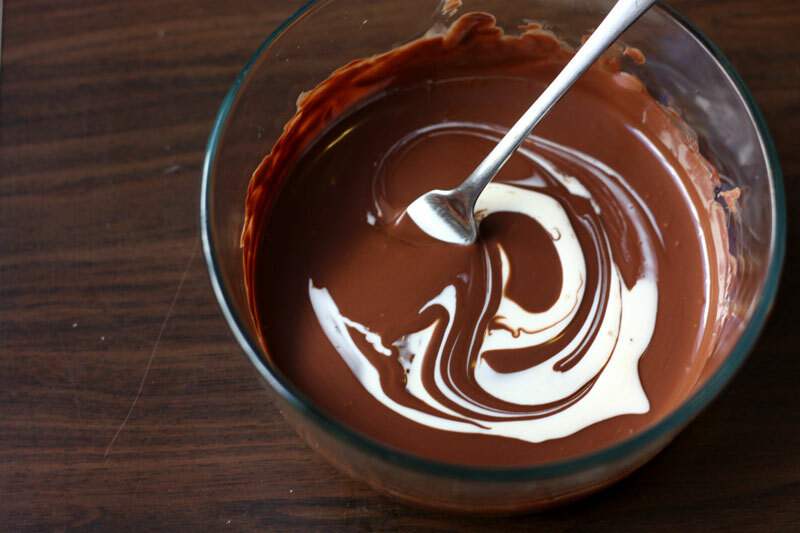 I love the look of that shiny ganache too. All around delicious, I think! 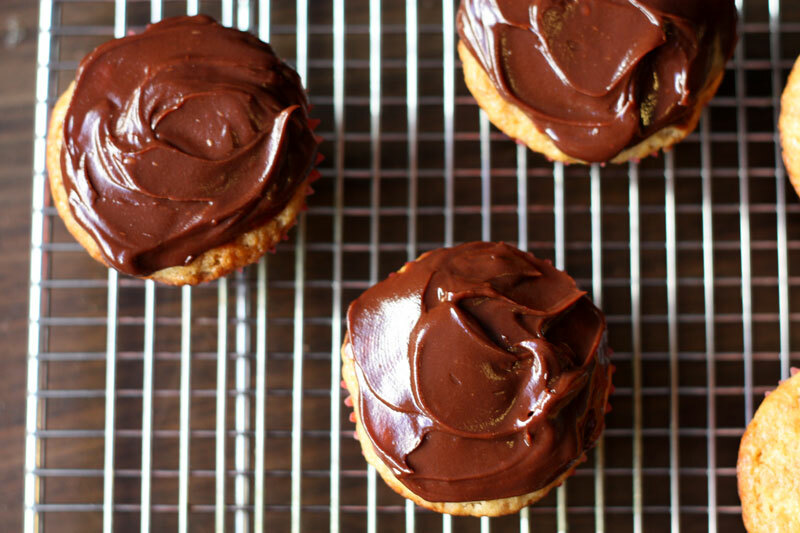 You are currently reading banana bread cupcakes at one cake two cake.